I’ve written about the biased and dishonest polls that the mainstream media have been stuffing down our throats the last several weeks. But nevertheless, the consensus has been – even among conservatives – that Romney’s campaign wasn’t gaining any kind of serious traction. I knew that the debates would be critical. And particularly this first debate last night that was anticipated to be watched by 50 million Americans. So every single night on every single walk, I took a little time to specifically pray for Mitt Romney’s campaign and particularly for his debate with Barack Obama. I prayed that the Lord would give him wisdom and discernment and that kairos sense of timing in saying what needed to be said at the precise moment that it would be most powerful to say it. Knowing that Romney would have to be very aggressive and yet somehow be likable, I prayed that he would be able to strike the perfect balance. I prayed that Romney would be able to keep all of his facts and points in his head without coming across as stiff and rehearsed. And I also prayed for Obama, too. I didn’t quite know how to pray; prayer is a sacred thing for me and I have never in my life went before the Lord and prayed that somebody would be hurt or humiliated. But the word “exposed” kept popping into my mind. I began to earnestly pray that Obama would be exposed for what he was. Anyway, I set out on my walk at 6 pm Pacific time and started my recorder just before setting out for my slightly over two-hour hike. And when I came home, I turned on the TV to see what was going on. Marco Rubio was speaking to Sean Hannity. And it was when I heard Rubio say the exact words, “The president was exposed tonight….” that I realized that my prayers had been answered. And of course it just kept getting better and better the more I heard and the more I watched. Virtually every single thing I had specifically prayed for was specifically answered. It was just amazing. I know that I am not the only one who has been praying for Mitt Romney as America’s only hope to take this nation away from the failed leadership of Barack Obama. But I know that a lot more Christians need to step up and seriously start praying for what is going to happen on November 6. I don’t want that to happen to my country any more than Isaiah and the prophets wanted that to happen to Israel as that nation rejected God and turned on His ways. America doesn’t have much time left. Especially if Barack Obama is re-elected and is allowed to finish what he started. I believe that when Christians give up on America, God will give up on America. And as long as God’s people keep praying and keep building up the wall and keep standing in the gap on behalf of the land, God will keep fighting for us. The next debate is between Paul Ryan and Joe Biden on October 11. The second Obama-Romney debate will be on October 16, and the third will be on October 22. Pray for Mitt Romney and Paul Ryan! But don’t just pray for the debates or even for just the candidates; pray for the campaign and the campaign staff. Pray for THEIR wisdom and discernment; pray that ALL of the people who are important to the Romney-Ryan campaign team would know what to say and when to say it. And in the same way, pray that God would expose the Obama-Biden team for what they truly are. 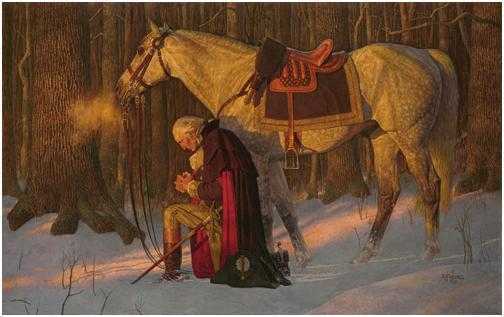 Finally, pray for the wisdom and discernment of the American people. Divine wisdom is ignored by those who have turned off their consciences and therefore turned off their minds. Jesus was the wisest man who ever lived, and spoke Words of truth, but the people He came to as His own shouted, “Crucify Him!” Pray that the American people would know the truth and respond to it. Pray as you never have before for your nation while you still have a nation left to pray for. I don’t mind saying, I hate Sen. Ted Kennedy’s politics. But I don’t hate the man. Today is a day to put politics aside and come together to pray for the man. Ted Kennedy is – by all accounts – a beloved patriarch of a family that has witnessed much greatness and endured much pain. Over the past several years I have seen shocking hatred expressed when conservative figures have been diagnosed with serious illnesses, and glee expressed in their passing. It is hard to believe that so many people are willing to sink to such a level, but we’re seeing more and more of it in our deteriorating culture. I’m sure that a few “right wing” sites might express the same glee today over Ted Kennedy, but I don’t subscribe to any such sites, and would walk away from any sites that offered up or tolerated such hate. Ted Kennedy – and for that matter such men as Charlton Heston, Tony Snow, and William Buckley – are human beings, and all these men deserve the fundamental dignity and respect due to ALL human beings. And even as we disagree over politics and as we fight to advance our positions, we should always recognize that there is a line that we should dare not cross. I have, in my articles, attacked Democrats on their positions and on their worldview. And I will continue to do so. But I have never wished them harm or suffering. I will do everything I can to prevent Barack Obama or Hillary Clinton from being elected President of the United States. But if one of these individuals IS elected – as a religious person and as an American citizen – I will continue to pray for the wisdom, judgment, safety, and health of my leaders. There comes a point when despising your leaders is tantamount to forming a circular firing squad. So I will be praying for the health and recovery of Ted Kennedy and the strength of his family while he goes through this crisis. And I hope you will join me.